Creeper's Hannah Greenwood has issued a statement in response to the harassment that took place at the UK rock band's show last night in Manchester. This follows a long trail of sexual harassment incidents occurring at shows including the viral video of Architects frontman Sam Carter calling out a sexual assault during a concert and Circa Survive’s Brendan Ekstrom halting a gig because of sexual harassment in the crowd. Plus, Greenwood faced backlash for calling out industry sexism, following her experience with a male security guard. During load-out, Greenwood, clearly displaying her pass, was denied readmittance to the venue by a male security staff member who had allowed her tourmate letlive. bassist RJ Johnson in several times sans pass. 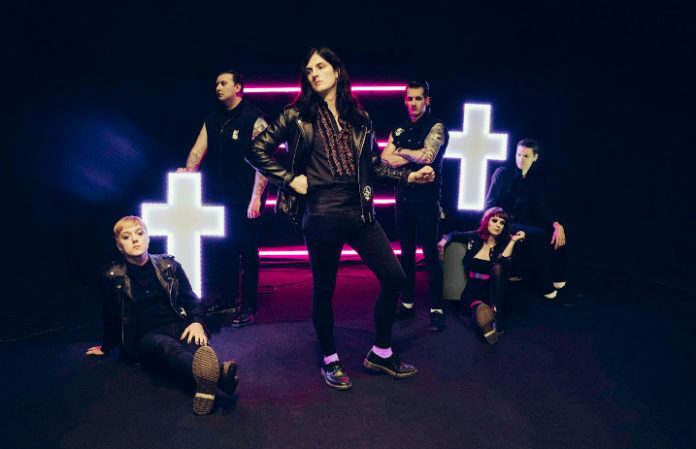 “This isn't unusual for me to be stopped or singled out being a woman, it's not the first time this has happened to me on tour with Creeper, so I decide in the moment that enough is enough and call this guy out,” she wrote. You can read her full statement on the post below.